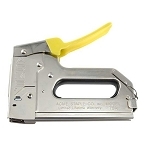 The Acme 18A Wire and Cable Staple Gun has a patented design that will not crush or damage small wires and cables, such as: Category 3, fire alarm, and small AWG cords. 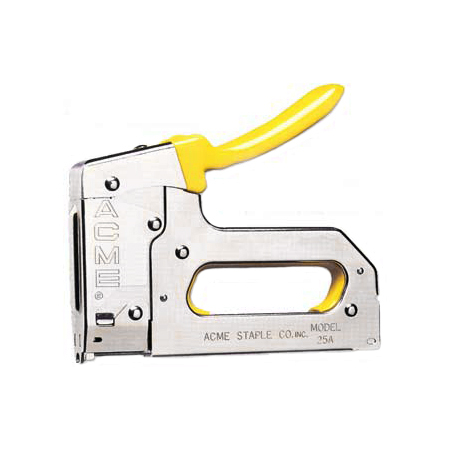 Made with an ergonomic design, this Acme staple gun fits to the shape of your hand for a comfortable grip. Designed for professional installers, the 18A handle comes in a high visibility yellow for quick identification on a project site. 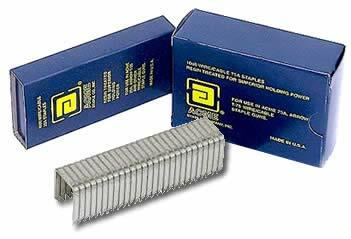 Utilizing a unique loading system, the jamming of staples is non-existent, resulting in quicker progress. The staple gun makes use of 3/8” and 7/6” (galvanized steel or corrosion resistant) staples—pin down and secure wires of 12-22AWG. A bottom-load magazine feature also allows for easy drop-in loading when using the Acme 18A Wire and Cable Staple Gun. For additional information about this product, please click the "Specifications" tab. For this product's manual, please click the "More Information" tab.